Police on Tuesday are investigating a double stabbing near the Guadalupe River and Children's Discovery Museum in downtown San Jose. Pete Suratos reports. Police on Tuesday are investigating a double stabbing near the Guadalupe River and Children's Discovery Museum in downtown San Jose. One stabbing victim was found around 12 a.m. near the intersection of Woz Way and Locust Street, according to police. 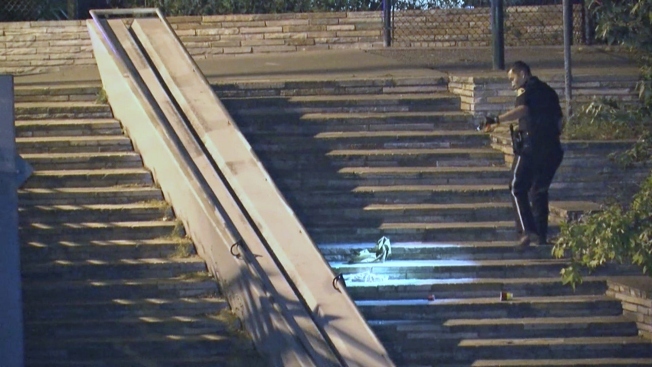 A second stabbing victim was located near the Guadalupe River. The victims, who may be transients, are expected to survive after suffering non life-threatening injuries, according to police. Police are looking for a male suspect, but a specific suspect description has not been released at this time, according to police.